Poland has lent its voice to a growing chorus of countries that won’t buy power from the Belarusian Nuclear Power Plant that Moscow is building in Ostrovets because it considers the project to be unsafe, RIA Novosti reported. Warsaw joins Lithuania in its dour appraisal of the project despite recent assurances from the International Atomic Energy Agency that the plant meets safety norms. Waszczykowski’s remarks Tuesday were the latest of the stinging rebukes from Eastern Bloc nations against the Belarusian nuclear plant, which have been running on high volume in recent months. 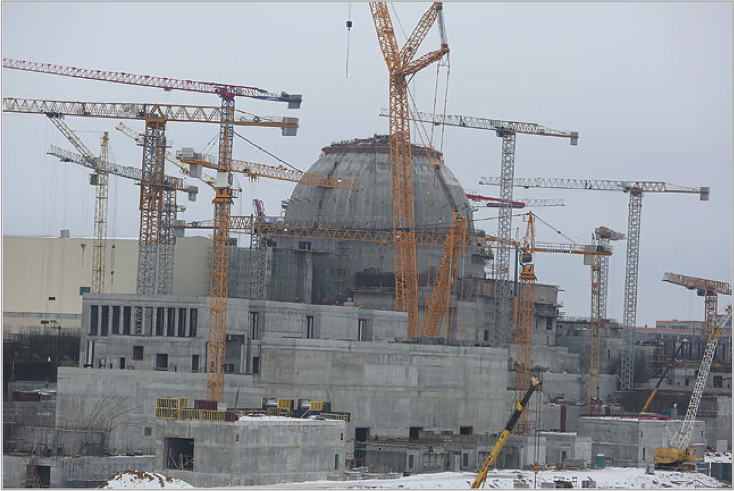 The VVER-1200 nuclear plant, built on a whopping export credit from Russian state nuclear corporation Rosatom, is expected to come online in 2020. In April, Vilnius passed a law against buying energy from what its parliament termed “unsafe nuclear power plants in third countries,” and forbidding utilities from transferring energy from such plants through the country’s territory. 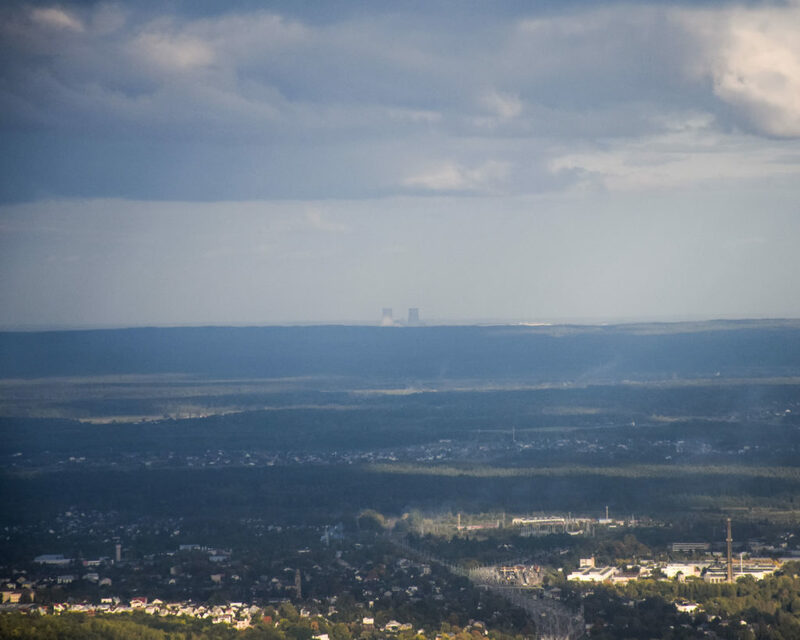 The legislation’s clear target, however, is the Belarusian plant, which is going up a mere 40 kilometers from the Lithuanian capital, from which its rising cooling towers are visible on a clear day. Since May, Lithuania has mounted a campaign among its diplomats throughout Europe to heap criticism on the plant to anyone willing to listen. Tomas Tomilinas, a Lithuanian parliamentarian recently told Bellona that his country’s opposition to the plant was nothing less than a question of national security. Anxieties about the plant have simmered among Belarus’s neighbors since 2010, but redoubled since the plant’s construction site saw a series of clumsy mishaps. 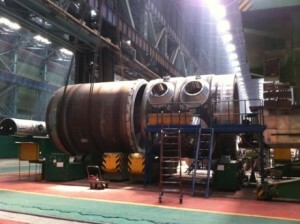 Rosatom eventually agreed to exchange the dropped unit, and its replacement was delivered in May. But the mishaps continued. Workers managed to run a second reactor pressure vessel into a column at a railroad station. But there is something more to Lithuania and Poland’s objections to the plant that takes aim at more critical Russian interests: Economic and political dominance. Since the early 2000s, many in the West see Russia’s ambitions to built nuclear plants abroad as attempt to cast Moscow’s apron strings into the European Union. 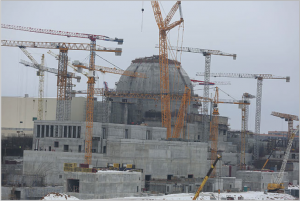 By fully financing reactor builds, they say, the Kremlin is offering a Faustian bargain: energy independence in exchange for long-term debt and Moscow friendly politics. The Moscow-leaning government of Viktor Orban in Hungary is a good example. Budapest relies on a Soviet-built nuclear power plant for 50 percent of its electricity, and recently signed a €12 billion deal for a second Russia-built plant. Budapest is now also less likely to pester Moscow over sensitive issues like Russia’s covert war in Ukraine. That’s because Moscow has a habit of settling political disputes by shutting off the power and heat in places where it has built infrastructure. Disputes between Russia and Ukraine, which remain bitter, led to cuts in Europe’s gas supply from Russia during the winter in 2006 and 2009. Lithuania’s law against the Ostrovet’s plant is Vilnius’s attempt to opt out of being a hostage to Moscow’s new zero-sum nuclear energy policy, and Poland seems to agree. These boycotts against buying nuclear power have been enormously effective in shutting down other unpopular nuclear builds in the region. A Russian nuclear plant in the Kaliningrad enclave was quietly shelved in 2011 when Poland declared it wouldn’t help out with financing. Lithuania’s own plans for a nuclear power plant took a more tortured route. Since 2009, the country has been trying, unsuccessfully, to kindle investment interest in its own Visaginas nuclear power plant to replace the Soviet-built Ignalina station. A decisive blow against that project came, however, when Poland, as it had done in Kaliningrad retracted financing offers.